Above scan from no. 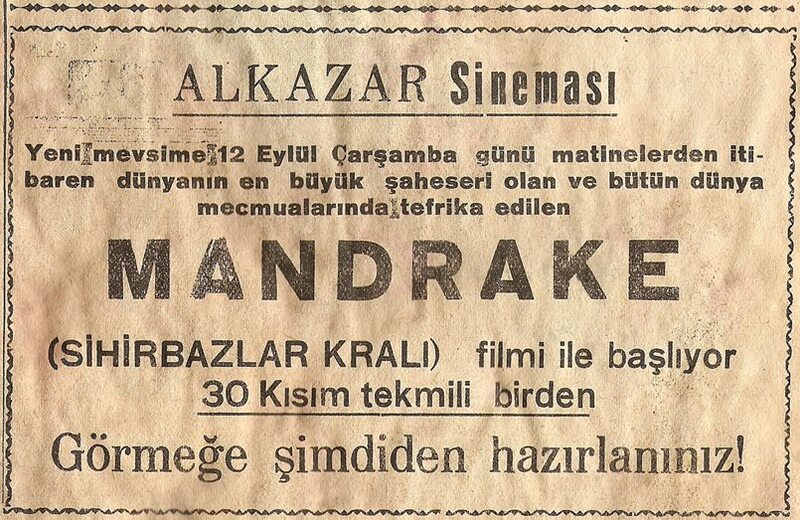 303 (dated Sept. 6th, 1940) of Turkish children's magazine Çocuk Sesi Afacan is an ad for the upcoming Sept. 12 release of Mandrake the Magician (1939) film serial in Istanbul's Alkazar cinema. 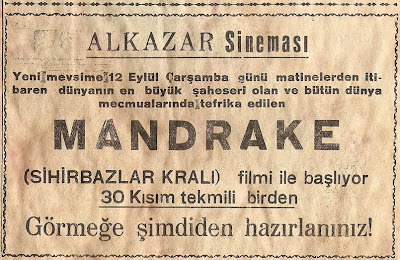 The ad includes the tagline "30 parts altogether", indicating that the whole serial will be shown with each screening, a common practice for serial screenings in Turkey.